​ Computer programs are like bicycles -- you can't learn them by just reading a book. You need to "get on and ride them." There is a good youtube tutorial at https://www.youtube.com/watch?v=Q54rdwe-9s0. The first thirteen minutes get into the basics of editing. Skip the part about Sections, since we don't have that element at this time. I am checking with Weebly to see what it would take for us to get it. That's from 13:00 to 18:35 on the video. The following section on pages is good background, for it shows the connection between the pages and the main navigation menu. Changing page attributes and page names is covered from 18:35 to 24:45. If you watch those 20 minutes of the video (0:00 to 13:00 and 18:35 to 24:45) and then practice on your sandbox page, you'll be up and running with this in no time. In the meantime, I can suggest that you try editing the elements on your sandbox. Try changing the title, text and pictures. 95% of what we do in updating the site involves those three elements. In an effort to maintain consistency, we ask that you follow these guidelines. See below for details about the Newspro column. Weebly makes it easy to change column width. Please feel free to use that capability as it suits your needs on any pages except the Home page. We do not want the Home page column widths to constantly change. The Home page is designed primarily to reach first-time visitors and give them a warm welcome and many items of interest to draw them into exploring the website and the church further. What are the Newspro formatting guidelines? We want to maintain the Newspro format which has served us well for years. This is the left-hand column of the Home page. This section contains short announcements. Often a Read more... link at the bottom of the item leads readers to a separate page which gives more information that does not fit on the Home page. Assume the reader will only read the first two sentences. People have short attention spans and lose interest quickly. So tell them what they need to know up front. They won't spend much time searching for it. They'll be on to something else before you can say, "click here"
A short paragraph, ideally no more than 6 lines. A Read more... link when 100 pixels and 6 lines are not enough. The old Newspro forced this format. Weebly does not automatically force this format, but we ask that you use it voluntarily. This column is designed to be updated regularly. Items are to be placed based on importance and urgency. Thus, the announcement about the upcoming services at Lakewood Ranch are at the top of the list because of importance. Events happening this week are at the top of the list because of urgency. Events not happening for another three weeks are lower on the list because they are not as urgent. Other events are listed in the order of importance. Graphic guidelines for Newspro column: Images are to be 100 pixels wide, as in this example and the one at the top of this page. A rare exception is the placement of a video, which does not work in a 100 pixel format. There is no easy way to determine the exact width of a picture, so you will need to eyeball it and do the best you can. If you have access to the Theme tab you can turn on a vertical and horizontal guide. Where does the Read ﻿more﻿... link lead? It links to another page. You create the link yourself. It can link to a page on another website or another page on our website. What if the Read more... page doesn't exist? Then you need to create it. If you are an author or editor, you have your own practice page. Post your Read more... content there. If you need an additional page, contact Klaus. When you are finished, contact Klaus and he will move your content to the real Home page. If you are an Administrator, you can add a page on your own. Give the page a name that easily identifies it. If the page is to be hidden from the main menu, click the "Hide page in navigation" choice right under the page name. Your new page will be at the bottom of the page listings. Please move it to right above the list of practice pages (they have authors' names on them). After your news item becomes old news, be sure to delete it along with this Read more... page. Unless it is a recurring item. In that case, move the News item to the "Archive (for admins only)" page for future use. This page should be at the bottom of the page listings, making it easy to find. What about column width? The old website gave the Newspro section a wider column than the center column, listing Upcoming Services and Social Justice Actions. This was a mistake. The big event at this church is the Sunday Service, drawing up to 400 people each Sunday. Social Justice events are an important part of the church. These items deserve more Home page real estate than most of the other events which take place at the church. For that reason, the new website has enlarged the center column. Please maintain these column widths. Another important item for the Home page is a section devoted to first-time visitors. That is why the right-hand column width has been maintained from its prominent width on the old site. What about the length of the Newspro column? The old website did not allow Newspro items to be moved to the other two columns. Thus, the Newspro column was often far longer than the other two, leaving huge, unsightly white spaces at the bottom of these two columns. Weebly allows us to easily move items around. So when you add or delete items from the Newspro column, check the bottom of the page and move a few of those items around as filler to avoid those huge unsightly white spaces. Thank you for your cooperation. We appreciate your help in maintaining the website, and in keeping the look of the pages consistent. If you have any questions of suggestions, please share them with the Website Team. The Home page uses common News style in order to make the information easily accessible and invite people to browse a variety of articles, finding the subjects that interest them. Especially the Newspro column of our home page seeks to provide a headline, a picture and a short lead paragraph, More information is provided by a Read more... link to a separate page, Following are excerpts from a Wikipedia article on News style. News writing attempts to answer all the basic questions about any particular event--who, what, when, where and why (the Five Ws) and also often how—at the opening of the article. This form of structure is sometimes called the "inverted pyramid", to refer to the decreasing importance of information in subsequent paragraphs. Journalistic prose is explicit and precise, and tries not to rely on jargon. As a rule, journalists will not use a long word when a short one will do. They use subject-verb-object construction and vivid, active prose (see Grammar). News writers try to avoid using the same word more than once in a paragraph (sometimes called an "echo" or "word mirror"). The headline of a story is typically a complete sentence (e.g., "Pilot Flies Below Bridges to Save Divers"), often with auxiliary verbs and articles removed (e.g., "Remains at Colorado camp linked to missing Chicago man"). However, headlines sometimes omit the subject (e.g., "Jumps From Boat, Catches in Wheel") or verb (e.g., "Cat woman lucky"). The most important structural element of a story is the lead. An effective lead is a 'brief, sharp statement of the story's essential facts.' The lead is usually the first sentence, or in some cases the first two sentences, and is ideally 20–25 words in length. The top-loading principle (putting the most important information first—see inverted pyramid section below) applies especially to leads, but the unreadability of long sentences constrains the lead's size. This makes writing a lead an optimization problem, in which the goal is to articulate the most encompassing and interesting statement that a writer can make in one sentence, given the material with which he or she has to work. A rule of thumb says the lead should answer most or all of the five Ws (see bold print above). To "bury the lead" is to begin the article with background information or details of secondary importance to the readers, forcing them to read more deeply into an article than they should have to in order to discover the essential point(s). Burying the lead is a characteristic of an academic writing style. It is also a common mistake in press releases. Journalists usually describe the organization or structure of a news story as an inverted pyramid. The essential and most interesting elements of a story are put at the beginning, with supporting information following in order of diminishing importance. This structure enables readers to stop reading at any point and still come away with the essence of a story. It allows people to explore a topic to only the depth that their curiosity takes them, and without the imposition of details or nuances that they could consider irrelevant, but still making that information available to more interested readers. Writers are often admonished "Don't bury the lead!" to ensure that they present the most important facts first, rather than requiring the reader to go through several paragraphs to find them. In marketing writing, the writer needs to keep the target audience in mind and write to their needs, hopes, wants, fears etc. Tell them why they should care. Present benefits. Tell them what might happen if they don't "act now". Give them a reason to attend, sign up, give, volunteer etc. Add some sizzle and pizzaz. Some of this can be carried over into the headline on the home page - to make the reader want to read more. Most of all, talk to the reader directly. Try not to use third person. Please do not expose the church to expensive lawsuits by violating copyrights. Just because Google finds it doesn't mean it's safe. Google posts the following disclaimer: "Images may be subject to copyright." Wikipedia is a good source for images. Click on the image there and it gives you the copyright info about the image. If it's in the public domain, you may use it freely without attribution. Many images on Flickr are available under a Creative Commons license. 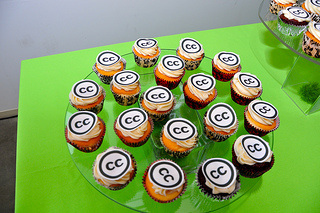 Creative Commons licenses allow the use of images. Below is an example of an ideal attribution. Title? "Creative Commons 10th Birthday Celebration San Francisco"
Since links are required, you will not be able to place the attribution in the caption section of the image. It can be placed at the bottom of the text box. However, please do not place it in the page footer. Search youtube for the video you want. Under the video, click the Share link, then click the Embed link. "Show suggested videos when the video finishes"
Next, find the html embed code (It starts with "<iframe width="853" in the sample screen shot below.) Highlight and copy this code. Then insert Weebly's EMBED CODE element into your page. and paste the html code into it.